It may have started out as an average day, but then Beth Lund came face to face with her husband - who had walked out three years earlier. Without any contact in those years, he arrived hoping to make their marriage work. He had no idea everything he had missed in those years. Scott Lund was hoping his father might know where Beth was when he arrived at the dealership, he never anticipated finding his wife - or that they had a daughter. After the miscarriage and fighting, he had left. He had spent the years working, and he finally was at a position where he could offer something in their marriage. Their hasty marriage had cost Beth too much, and he wanted to make amends. He never imagined everything he had lost. Beth had been pregnant when he left, and they had a beautiful little girl. She worried about Scott's reaction that Risa had Down syndrome, she needn't have worried. To him, she was a perfect little girl. Now, she had a greater worry. Did Scott really want to be with her again, or was it their daughter that he wanted? 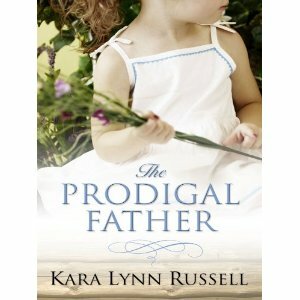 The Prodigal Father was a touching reunion story of forgiveness and love. It was difficult at first to accept Scott as a hero. After all, he just disappeared and did not contact anyone for three years - neither his wife, parents, or even friends. Nobody knew if something happened to him, and if something had happened to anyone else, he would not have known. Such as becoming a father. I found him very irresponsible in this aspect. However, Kara Lynn did a remarkable job in explaining the reasons behind his actions, and turning him into a hero that the readers will stand behind in his quest for his heroine. FTC Disclaimer: I did receive an ARC directly from Kara Lynn Russell. However, this website only posts "good" reviews. If I cannot post a positive review, I notify whoever has provided me with the book/ARC/ebook.